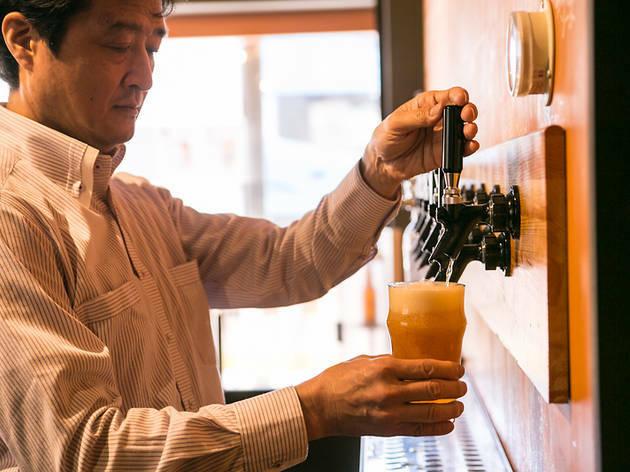 Saitama's first brewpub swung its doors open in spring 2014 and has managed to attract a loyal following with a selection of around 10 beers, some of them even coming in two versions (extra malty or extra hoppy). 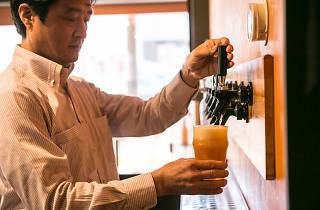 The appropriately flowery Hana and the powerfully bitter Shuu are the stars here, while adventurous drinkers can try the Kampo Beer, flavoured with cinnamon and ginseng and served warm with a cinnamon stick, supposedly improving your circulation and warming up your body during the chilly months. Such trickery aside, Hikawa does a roaring trade in German sausages and other decent pub grub, making a visit all the more satisfying. The owner told us he's planning to start growing local hops in the near future, so this one might yet have plenty of room for growth.